A touch screen kiosk and microsite for the Philadelphia Zoo, to help children and their parents learn about different endangered species and what they can do to help. Whenever the user moves the cursor around the geometric map, whichever triangle is being touched will be highlighted. 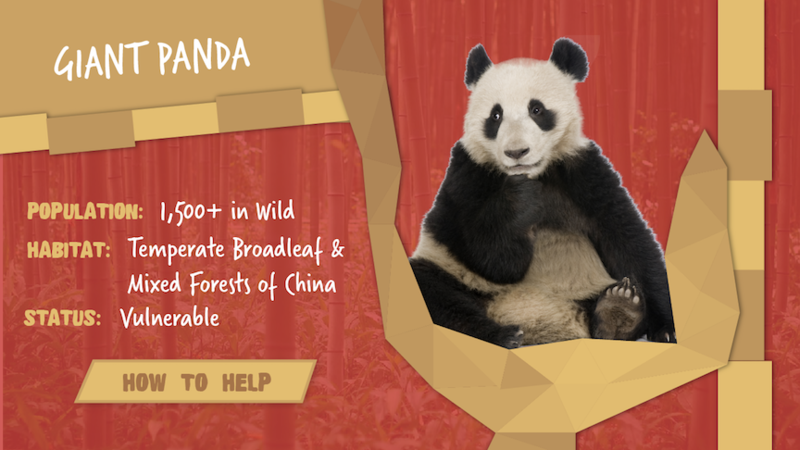 Once the user clicks on a region, the screen will zoom in to display one of the many endangered species living in that region.